OREM, Utah, April 27, 2015 – To augment humanitarian search and rescue efforts, Lockheed Martin (NYSE: LMT) announced it is teaming with Project Lifesaver International and Loen Engineering Inc., bringing advanced technology to first response agencies. The Indago small unmanned aerial system (UAS) will be integrated with an innovative light-weight antenna and receiver developed by Loen Engineering. The system allows Project Lifesaver agencies and first responders to rapidly locate special needs individuals who have wandered from their homes. 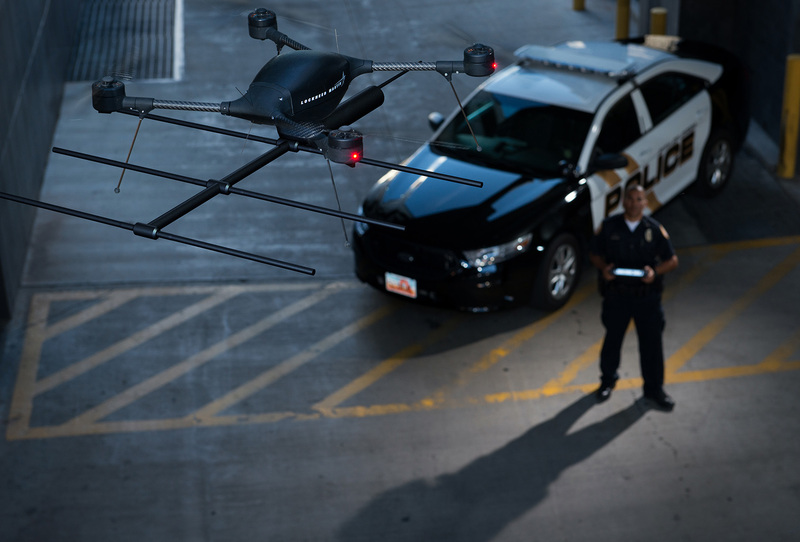 First responders have relied on manned aircraft to conduct aerial search and rescue operations, and the Indago reduces the response time and increases the efficiency of search efforts when time is critical. The five-pound, collapsible Indago system can be stored in the trunk of any squad car and deployed within a matter of minutes. Indago is a proven, reliable and easy to operate quad rotor small UAS that requires no assembly. Coupling the Project Lifesaver antenna and control elements with the Indago system expands signal detectability, serves as an airborne relay, and greatly improves the probability of location success across broad search areas. The Indago’s industry-leading flight time of 45 minutes and electro-optic infrared gimbaled imager provides high quality data and enhanced situational awareness for operators to make real-time decisions. Indago is capable of providing tactical situational awareness and geo-location to aid in a variety of missions, from firefighting to precision agriculture to search and rescue. With five decades of experience in unmanned and robotic systems for air, land and sea, Lockheed Martin’s unmanned systems are engineered to help our military, civil and commercial customers accomplish their most difficult challenges today and in the future. Headquartered in Bethesda, Maryland, Lockheed Martin is a global security and aerospace company that employs about 112,000 people worldwide and is principally engaged in the research, design, development, manufacture, integration and sustainment of advanced technology systems, products and services. The Corporation’s net sales for 2014 were $45.6 billion. Project Lifesaver International (PLI) is a 501 (C) (3) community based, public safety, non-profit organization that provides law enforcement, fire/rescue, other first responders and caregivers with equipment and training to quickly locate and rescue individuals with cognitive disorders who are prone to the life threatening behavior of wandering, including those with Alzheimer’s disease, Autism, and Down syndrome. To date Project Lifesaver agencies have conducted over 2,965 successful rescues. Most who wander are found within a few miles from home, and search times have been reduced from hours and days to minutes. Recovery times for PLI clients average 30 minutes — 95% less time than standard operations. Loen Engineering, based in Victoria, BC, Canada, designs and manufactures radio frequency products, and provides creative engineering design and solutions to clients throughout North America. This website is hosted with 1&1.com. It was originally developed with Drupal and included a mess of background themes, etc. It was done by a friend, as a school project in web design. I didn’t want to spend the time to learn how to update and manage the Drupal website, which, unfortunately, led to many hacks. I realize these were due to the lack of updates on the Drupal themes, etc. So, I have switched everything over to WordPress, with the Thesis theme. Nice to have control over the content and website, once again.